AB InBev was granted a trademark to sell Patagonia beer in the United States in 2012, but the company sat on the name until 2018, when it started selling Patagonia beer with the branding in Colorado after years of success in Argentina. Patagonia says their brand was created in the 1960’s and is registered in 90 countries. Beyond copying the brand’s name, using a similar logo and aesthetic, Patagonia charged that InBev’s Patagonia beer is also introducing the beer through pop-up stores at ski resorts, where Patagonia apparel is popular. Patagonia further asserts that AB InBev has advertised on billboards that it will plant a tree for every case sold as part of a ‘tree positive’ mission” that will also confuse consumers given Patagonia’s environmental-first focus. AB InBev “tried to connect its beer with environmental conservation by claiming to plant a tree for each case of beer sold, an initiative that Patagonia would welcome but for the fact that AB is clearly attempting to copy Patagonia’s famous brand identity to confuse consumers,” it said in the lawsuit. Through its food business Patagonia Provisions, the apparel company further started brewing its own beer, called Long Root, in 2016, and recently launched its second beer earlier this year. The company claims in its lawsuit that a representative from AB InBev recently reached out to it about the special grain used in its beer. “AB’s activities have caused consumer confusion in the marketplace. 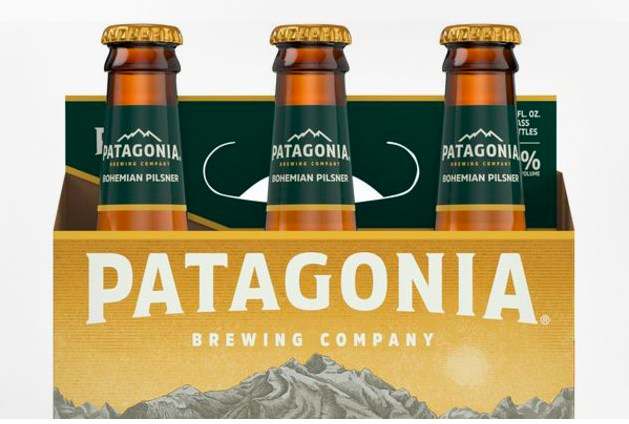 Consumers have, for example, attributed AB’s PATAGONIA beer to Plaintiffs,” the suit alleged. Patagonia is seeking to stop AB InBev from selling the beers and to prevent it from going to “such great lengths to pass itself off as Patagonia.” While AB InBev has a U.S. trademark for the Patagonia brand, Patagonia argues that it should never have obtained the trademark in the first place. It also is asking to have AB InBev repay its lost profits, any profits gained by the brewer’s Patagonia beer, punitive damages and attorney fees.